About two weeks ago, June 22 through 24, the BeMor(e) Start-Up Camp took place at MolenGeek, a unique workspace for young entrepreneurs. 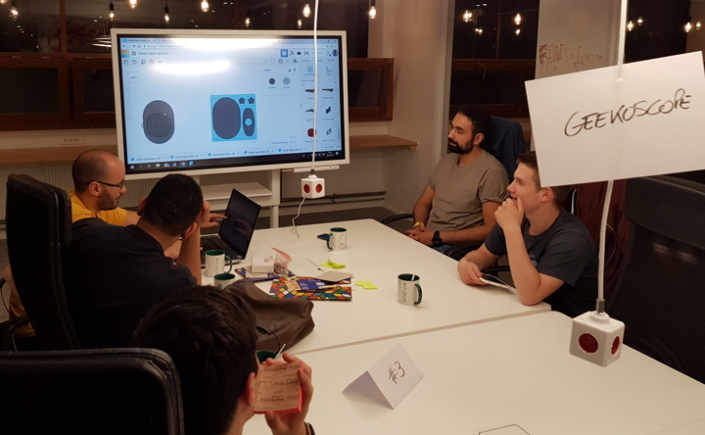 With the objective of mashing ideas and technology to build prototypes and set up tech start-ups, the event resulted in 11 projects being presented before the jury at the end of the hackathon weekend. 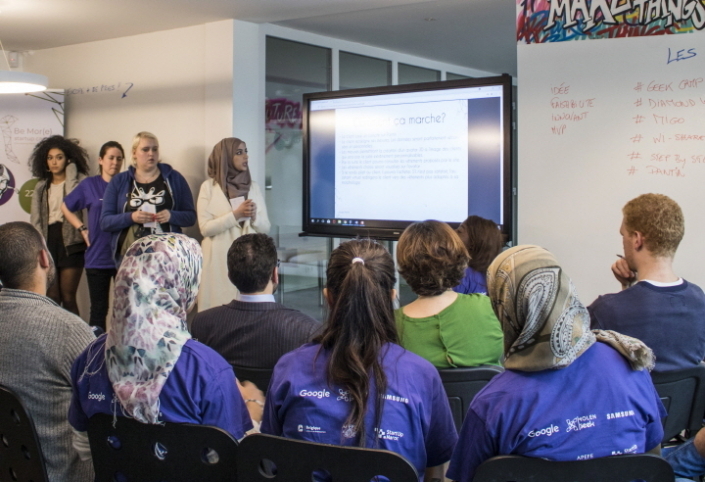 Some of these projects will be continued at MolenGeek; some will be followed up in Morocco. 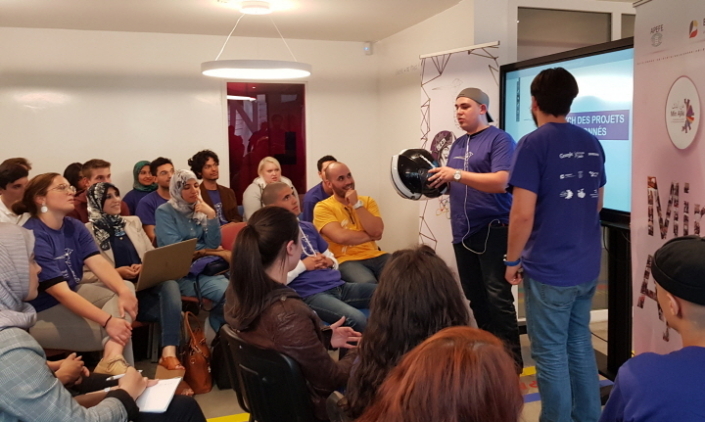 Geekoscope was the winner of this hackathon. Led by a young biology teacher under a strict budget, the team devised a smart, affordable, 3D-printed microscope. 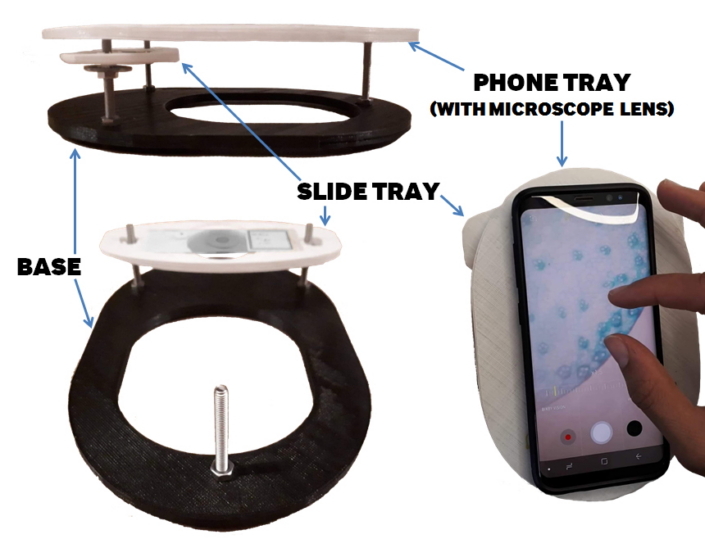 Knowing that ‘real’ microscopes can be expensive, they came up with a cost-efficient alternative substituting the various lenses and moving parts of a microscope with a now-ubiquitous smartphone. The microscope is also to be environmentally sustainable, using 3D-printed, recycled plastic. Eyelight came in second with an idea for a safety enhancing add-on for motorcycle helmets with smarter safety features. The device is to latch on to motorcycle helmets like an octopus and to feature an integrated camera to function as a dash-cam for the rider as well as fluorescent lights to function as brake- and turn-signals. 3rd-placed Pantin focused on creating an online fashion shop based on an app. This app, allows you to insert your body measurements, which allows the app to provide a 3D preview and suggest items that fits best. 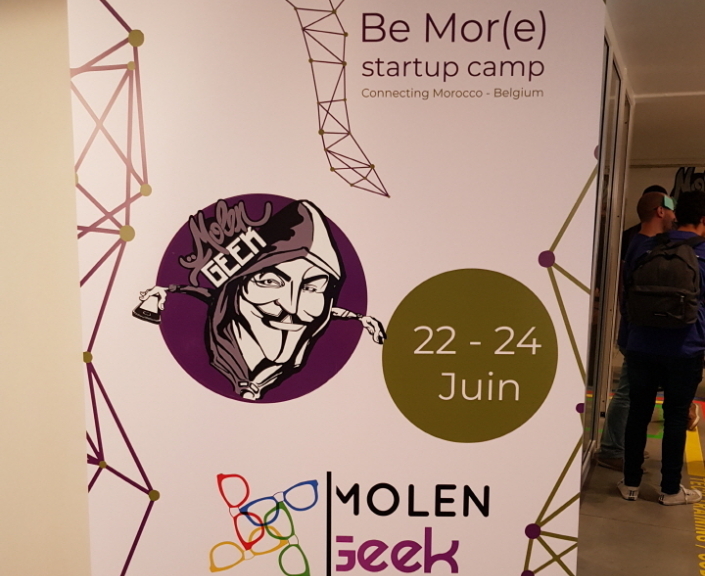 The majority of the projects proposed at BeMor(e) will continue development at the MolenGeek workspace. 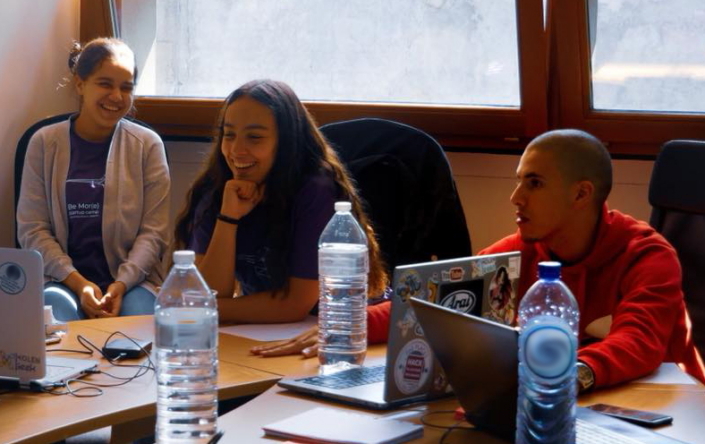 After further development, some of these projects will form the Belgian delegation of the MolenGeek and BeMor(e) Startup Camp that will travel to Morocco in December to continue their journeys. 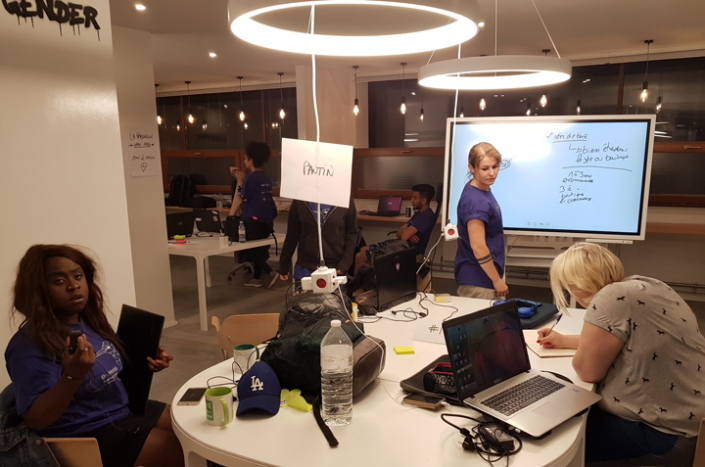 BeMor(e) Start-Up Camp was supported by various players in the tech field including Samsung Electronics and the Belgian Government. 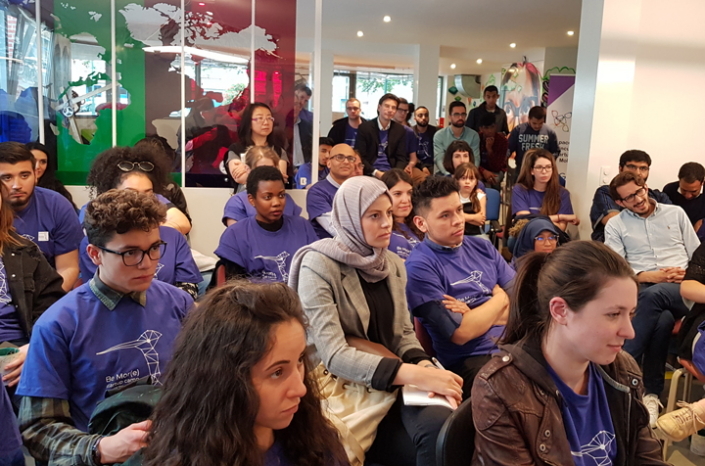 Start Up Maroc, an organization that promotes startups in Morocco, and MinAjliki, a Moroccan organization promoting young female entrepreneurs, also partnered in the event as many people in Molenbeek trace their roots to Morocco. MolenGeek has turned into a beacon of hope for young adults in a neighborhood once tied to terrorism. Sint-Jans-Molenbeek, a municipality located west of the City of Brussels, is being transformed into a seedbed of innovation thanks to the collective efforts from the local government, tech companies like Samsung Electronics and, most importantly, its energetic young citizens of all ethnic backgrounds, genders and religions. In September, 2017 the initiative was presented as a best practice case study in the contribution of a public-private partnership to achieving United Nations’ Sustainable Development Goals (SDGs).